Things to do in jaipur , this blog will help you pin point the places you want to visit and experience you want in pink city Jaipur, with complete guide to where to stay , where to eat and activities you can do. Jaipur ,the royal city as time passed jaipur also adopted the western forms and thus provide you a experience of life time in terms of its unmatched grandeur.Jaipur have everything to offer from comfy and heritage stay to modern party arenas. This show add a royal touch to the nightlife of jaipur, you can start your memorable evening from this place and then proceed to city to dine and have party shopping etc. I have seen it many time and will request you to book this show. This light sound show will make you live the moments of glory of fort amber. With script written by gulzar sahab ,lead voice of Amitabh Bhachan you can not afford to miss this show. 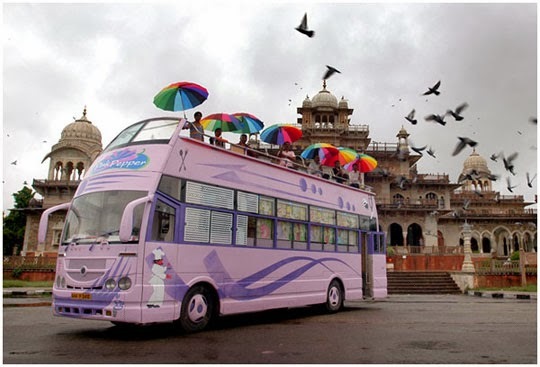 This is the best way to have an amazing evening without taking much pain, Just pay once relax feel the magic of pink city, this pink city night tour cover beautiful places of jaipur , from albert hall to nahargarh , this route will start from the heart of city jaipur and take you to the hills of nahargarh (the place where shudh desi roamce and rang de basanti Indian muvis were shot) this is top of the city from where you can feel the soothing winds and silence which will complete your experience of jaipur, looking at city from nahargarh and try to identify different location by only lights is fun. do experience this. charge just 375 where dinner is at nahargarh. It got a restaurant in the bus so you will get fresh delicious food. Wow... 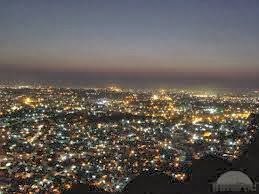 I came to know a lot about the night life in Jaipur and I came to know about so many affordable places where can you easily enjoy without having a lot of money thank for this. Hellooooo We has read your article on the blog-spot of jaipur tour package situation connected with incredible India. As holiday visit to Rajasthan trip is usually marvelous. Thanks intended for brilliant sharing post. Thanks for writing about Jaipur travel guide and about important things to do in city. Check out Golden Hotel Jaipur, providing best facilities. Yes, if you are planning to touch, to the nightlife of Jaipur, then there are various things to do. So stay in the best hotel in Jaipur and enjoy the beauty of the pink city. Awesome guide about where to stay in jaipur. Things to do in jaipur in night, nightlife in jaipur. Great! I truly appreciate basically perusing the majority of your weblogs. Essentially needed to advise you that you have individuals like me who welcome your work. Certainly an extraordinary post. Book Your Perfect Tour with Touritor. Enjoy best tour and Book Your Perfect Tour guide. NIce blog. Read my new post, Take a Food Tour in Jaipur- a Paradise for Vegetarians. Very nice blog. Thanks for sharing with us. Jaipur is a famous place for its royal heritage, forts, rajasthani food. If you are travelling to jaipur or living in jaipur, you have got so many options where you can have delicious rajasthani food. Read my new post, Take a Food Tour in Jaipur- a Paradise for Vegetarians. abhishek paliwal. Simple theme. Powered by Blogger.